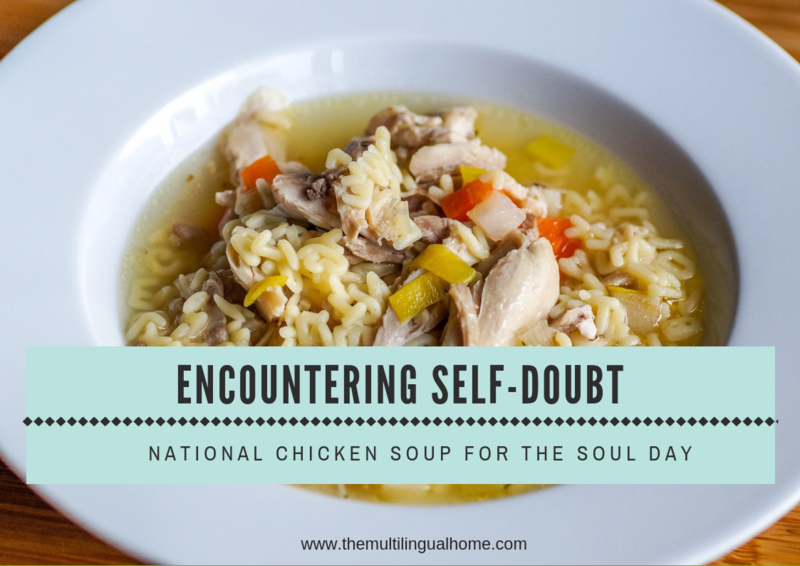 Today is National Chicken Soup for the Soul day and I’m going to share a story of how I encountered self-doubt recently and some advice I was given. For those of you who don’t know what Chicken Soup for the Soul is, let me explain a little bit before jumping into my story. Chicken Soup for the Soul is a series of books in which personal stories from unknown people were published in the US and Canada. According to their website it started with the simple idea “that people could help each other by sharing stories about their lives.” I had at least two or three of these books when younger and they helped me learn how to deal with the challenges and successes of growing up. “Chicken Soup for the Soul” is a well-known phrase that is often cited in pop culture today. Last week, I had a really hard week emotionally and mentally speaking. I was burned out and I was beating myself up – being too hard on myself – lots of self-doubt – comparing myself to others etc. All week, one little thing after another would bring on a bashing myself session. It got really bad on Thursday. A friend came over for brunch and I accidentally spilled some really hot tea on her. Thankfully it didn’t burn her ; we were able to put ice and cold water on it before a burn mark. Then I happened to say something to her about my journey to Islam that started me on the track of why did I say that, she probably thinks this and that and I should have just said nothing. But it seemed important that I tell her because it’s an issue I think other Islam converts can understand. Throughout the rest of the day, I found myself saying things like “You’re not good at that”, “why do you even try”, “what’s the point”, “I”m failng my children”, etc. I tried to forget about it as I got my kids from school but the quote of the more you dwell on it the more present and the more you’ll think about it rang so true. So I decided to reach out to two friends of mine – one is a psychologist and the other is a sister in Islam. If I hadn’t reached out to these two kind empowering women, I would probably be still swallowing and dwelling in my own thoughts. Don’t get me wrong – I still struggle with these thoughts and difficulties on a daily basis, but reminding myself through positive affirmations or a grateful journal helps me to cope in an easier way. First, I am going to share the advice I was given because I believe that it will help others too, particularly other mothers who are going through the same self-doubt and comparison to others talk. I’m sorry you’re feeling this way. I can say that it’s not uncommon for people to experience this sensation of doubt, but it can be difficult to shake. I can see how it could easily happen in a period of transition when we are comparing ourselves to others and not feeling like we’re even close to them… I want to reassure you that you are doing a fantastic job, even when it doesn’t feel like it. Your kids are super lucky to have you for their mom who cares so deeply about them! You are not alone in focusing on the problems rather than the many things you do right. I encourage you to explore the option of counseling, not because anything is wrong, but because we can all benefit from it. It can very much help us to get perspective we wouldn’t otherwise have. Sending you love and prayers. Remember Allah in everything you do. If you aren’t sure where you are going how are you sure it’s what Allah wants us to do. You’re not failing (even if we feel like it), you are learning. Sometimes things are set up to fail because we aren’t in control of everything. Remember how you “failed” so next time you can succeed. Find something you are good at to release the frustrations you feel – charity work – for example find the negative points and then find ways to fix it. If Allah didn’t love you, He wouldn’t test you. Stop trying to make friends with the people who don’t have the same interests – make friends with your self first. Be the better part of YOU. I spent this past weekend reflecting on this advice that my friends had given me. I am still evaluating and working on an action plan to overcome daily self-doubt, so I will share that once I have finished. Would you be interested in reading about it ? 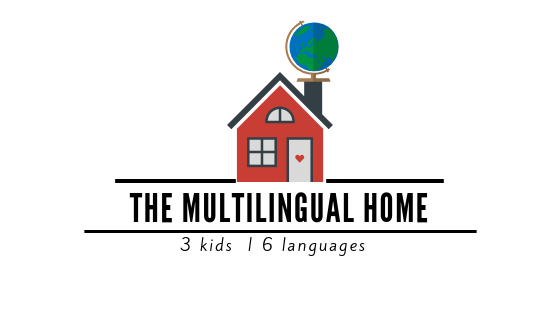 One more thing, for those of us moms trying to be supermom, please check out this video from Our Muslim Homeschool in which Dr. Gemma discusses how supermums do it all. I stumbled upon this while surfing Instagram and her tips were really helpful! And just to let you know we are eating Chicken soup for dinner tonight, the recipe can be found here!! You are very brave that you can face with yourself, your inner thoughts and even move on amd share it to get better. Many of us even hard to admit their self doubt or need of advice. I envy and adore your bravery, honesty and sincerity. I love both advices you got from your friends. Sometimes we are just too harsh on ourselves, forgot what we really suppose to do. Allah never asks us Victory but Allah wants us to struggle for Victory. We strive to please Allah, and to live in eternal happiness in Jannah biiznillah. Once I read a sentence that has been stuck in my mind until this time, I hope it can guide you too Sister. “Of your success is not protecting you from (Hell) fire then it is not a real success”. Like the famous hadith “إنما الاعمال بالنيات”. “All actions are judged by intentions”.